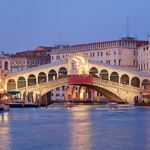 By the time you reach your forties, you’ve probably travelled a fair bit, ticked off a few bucket list holidays, experienced genuine luxury and generally have a good sense of what kind of travel really makes you happy. You’d probably like to avoid any cheesy honeymoon stuff and go for a more sophisticated, authentic approach. And if it’s your second, or even third marriage, you’ll want something different, and or if you have children along too, your chosen honeymoon needs to keep everyone happy. Here’s my guide to a more mature approach to honeymoons, for couples aged over 40. You’ve been around the world and all you want to do after tying the knot is flop by a pool, eat great food and indulge in some relaxing spa treatments and generally chill out with one another. Corsica may not be an obvious choice but this French island is ideal for a honeymoon as it combines sophistication with traditional charm, great food and white sand beaches. 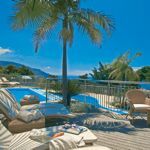 Corsican Places offers a handpicked range of hotels, villas and apartments including some romantic villas for two with private pool (Casa Acciana is among the best). Or you could rent one of these villas for two in Greece. If you’re heading to the Caribbean, Anguilla is one of those tiny, lesser-known islands that attracts an in-the-know crowd. Its white sand beaches are out of this world, as is its culinary reputation. 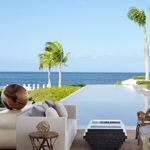 And there are stylist beachfront resorts to choose from including Cap Juluca and Viceroy Anguilla. On the romantic island of St Lucia, East Winds is a cosy boutique hotel with just 30 suites and all-inclusive fine dining. And if the Indian Ocean is more your thing, head away from the more obvious Maldives to the lesser known Seychelles, known as the original site of the Garden of Eden. 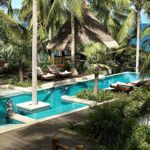 Choose between a luxury resort on the main island of Male such as the Banyan Tree or head to a private island retreat such as Fregate Island Private for the ultimate in castaway pampering. And if you’re prepared to fly to the other side of the world, The Cook Islands make a very special beach-based honeymoon staying on the main island of Rarotonga and the incredible atoll of Aitutaki. Second time around, you may be marrying on a more modest budget. 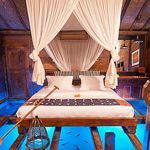 The honeymoon has to follow suit but you want somewhere classy and grownup. Mallorca has shaken off its downmarket image and is now one of the most sought-after islands in the Med. Book a authentic villa for two such as a restored farmhouse in a charming spot like Sencelles or Selva, many with private pools and you’ll be surprised how far your honeymoon budget goes. Many of Madeira’s quintas, or old Madeiran manor houses, have been converted into boutique hotels in a garden setting and make a fabulous, affordable honeymoon. Turkey is another easy budget destination that delivers way above its price tag. 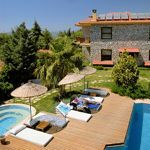 The stylish Mandarin Boutique Hotel is an adult-only hideaway in the countryside with just eight rooms, delicious organic cuisine and easy access to popular resort of Fethiye and Oludeniz. But of course the cheapest way to honeymoon, is to stay right at home in the UK and seek out a relaxing self-catering gem. Rural Retreats offers romantic boltholes for two from thatched cottages in the Cotswolds to lighthouse keeper’s houses by the sea. You’ve waited until your forties to tie the knot, or you’re going for all-out luxury the second or third time around. Now you’ve got money in the bank, a blowout honeymoon is in order. For a memorable and sophisticated resort in the iconic honeymoon destination of The Maldives, you can’t do much better than Huvafen Fushi. The epitome of barefoot, grownup luxury has dreamy overwater villas, an underwater spa and the chance to spend a night on board a designer yacht or a Maldivian dhoni. When you want to live the millionaire lifestyle, the best thing to do is follow in the footsteps of a real one! Sir Richard Branson’s Kasbah Tamadot in the Atlas Mountains of Morocco will have you swooning. Or how about the ultimate in private island living at Necker Island, Branson’s British Virgin Island paradise. If you have the cash, you can book the entire island for just the two of you or fill it with family and friends for the ultimate wedding, or come during a ‘Celebration Week’ which is slightly more affordable! If safari is more your idea of honeymoon heaven, Branson also offers Ulusaba Private Game Reserve in his Virgin Limited Edition collection. And in the Winelands he owns a superb boutique hotel, Mont Rochelle, which also hosts intimate weddings. Or head to Kenya for a classic luxury safari combination with Mahlatini. Sri Lanka is a destination that always exceeds expectations and its upmarket resorts have improved immeasurably over the past few years with incredible resorts such as Amanwella and Amangalla opening up for honeymoon perfection. You’re more active now than ever and want your honeymoon to reflect that. You’ve done all the lovey-dovey holidays and now you want a real bonding experience to get your married life off to an uplifting start. Argentina is another thrilling roller coaster of a honeymoon with partying in Buenos Aires, standing hand in hand atop a Patagonian glacier, visiting vineyards, breathtaking lakes and cutting-edge hotels all booked with the insider knowledge of Dehouche. Africa continues to be a fabulous honeymoon adventure. 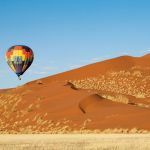 Active couples will cherish a trip to Namibia with its vast dunes, endless desert and the chance to track the endangered Black Rhino. Or how about a Zambia & Malawi combination with tried and tested Robin Pope safaris with romantic lodges, private game drivers, bush walk and boat cruises. And sometimes the most obvious ideas are the best. A cycling honeymoon in Italy is a fabulous experience with Headwater planning inspiring routes and taking your bags from hotel to hotel. Rome, Florence and Siena are an obvious choice for experienced culture vultures, who may have been before but want to revisit in style. Travel with a trusted, upmarket tour operator such as Kirker for an insider’s experience. Croatia is another honeymoon hotspot that’s fast becoming an affordable rival to the Cote d’Azur. Completely Croatia will take you to the best of historic cities such as Dubrovnik and arrange a Ferrari self drive to explore. If you’ve never been to Egypt, this could be the ultimate cultural honeymoon, just make sure you travel with an upmarket tour operator such as Abercrombie & Kent to take you to the best of the best. Morocco is only three hours flying time from the UK and is packed with exciting experiences. I’d go anytime between September and April. Private tours include a budget Classic Honeymoon and the ultra-luxurious Marrakech & Coast. Alternatively head to South and Central America. Peru is famed for its lost Inca cities including Machu Picchu as well as its lush Amazon rain forest and stunning Pacific surf beaches. See this range of honeymoons in Peru. If you’re looking for something different, Japan never fails to impress. Ride the Silver Bullet train, explore the tropical islands of Okinawa and don’t miss the hot springs. You’ve been round the world, and found the best places are close to home. The UK has some of the most sophisticated and downright beautiful places to honeymoon, why would you want to go anywhere else. Plus the money you save on an expensive long-haul flight can be ploughed into a five-star experience such as Gilpin Lake House in the Lake District, and Lucknam Park Hotel & Spa near Bath. 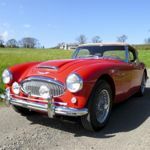 Or how about a luxury drive around the Scottish Highlands or Southern Ireland in a natty sports car, with McKinlay Kidd? If you want to stay in a hotel, Jamaica Inn on its namesake island is infused with 1950s panache. Closer to home, Rome, Florence and Siena couldn’t be more grown up and sophisticated if they tried! Or how about heading to the island of Capri, the epitome of glamour. Stay at the iconic Capri Palace Hotel & Spa. Taking the kids along on honeymoon is a tricky business – you obviously want to ensure that you get some time alone together as well as some fabulous family time. 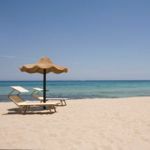 Forte Village in Sardinia is a great solution as it’s both luxurious and action packed for kids with serious sports academies and kids clubs for all ages. It also has a gorgeous thalassotherapy spa where you can cocoon yourselves for a spot of pampering. If you want to go long-haul, Mauritius is a good island for families as there’s minimal jetlag and a wide choice of resorts that are big on romance and families such as Trou aux Biches and Heritage Le Telfair.